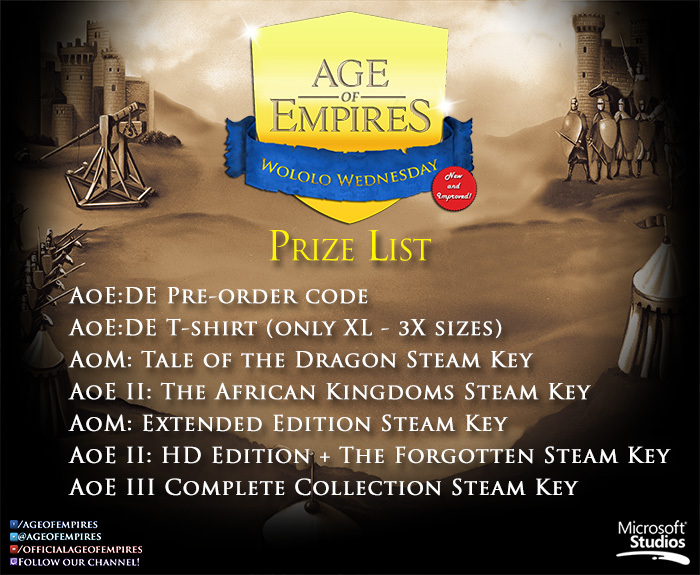 Greetings, Warriors, and welcome to the newest Wololo Wednesday. The amassed forces of Good, commanded by Our Hero, face the evil Undead army. The fighting is Fierce. When the Undead army is once more Dead, only Our Hero and the enemy leader remain. It is then Revealed that the character who died way back at the beginning of the show and hasn’t been mentioned since actually Survived by hiding in the mountains. She has summoned an army of furious Monkeys which now threaten Our Hero. Protesting that those are actually Apes, Our Hero responds by producing an army of flying Dogs. I don’t know who will win, but it will be Epic. Do not be fooled, however. Jaime and Bronn are ready to command a chosen group of dothraki and Vale knights to hammer the army of the undead from behind. In the meantime Tyrion and the Queen are anxiously watching the battle from the uphill camp. The dead are advancing! Will Jon hold his own? Daenerys is risking her own life in an epic showdown between her and the Night king on their respective dragons! In the heat of battle the golden band hired by Cersei Lannister has arrived. They will wait the end of the battle or come to the rescue of their fellow humans? I think that final battle, only one that matter living against the dead, will take place near The Wall on the demolished Eastwatch. Army of the dead will consist mainly (what a surprise ) of the dead humans and among them dead bears and giants as well. On the the hill above the army there are few white walkers commanding the army and of course the Night King riding now undead Viserion. On the far left top corner you may notice few crows spectating the coming event, Bran needs to see all after all. Bellow the wall awaits the army of the Dany and Jo.. I mean Aegon Two mentioned riding dragonsand soldiers lined up : On the left and right flanks famed Dothraki cavalry, center left are mainly free folk and northeners with unsulied on their right. Well, I tried it the difficult way. Congrats to the winners! You will be getting a PM from me shortly so keep an eye on your forums inbox. For October, we’re going to join the Halloween theme. We want you to depict your ideal haunted village/town in Age of Empires style! Your entry MUST include an image (max of 3 images) and must relate to an Age of Empires game (or an illustration having to do with one). You may also include a written portion explaining your entry that may be no more than 600 characters in length (not including spaces); if your entry includes non-English words, you must provide an accurate English translation of those words in your written portion. We’ll pick our five favorites from the submissions and that’s it! Super easy to enter so what are you waiting for? Entries must be appropriate and can be submitted via the forums thread here before 5:00 PM PDT on October 25, 2017. You can find the full official rules here.